Taking a depleted roster on the road to face the top team in the USL table, the RGV FC Toros suffered a 2-0 loss to Real Monarchs SLC on Monday at Zions Bank Stadium in Herriman, Utah. The loss drops RGV to 1-4-7 overall, ending a stretch of five consecutive draws. SLC improves to 10-2-1, building a 31-point total that stands seven points clear of the USL’s next best team. The Toros were without regular starters Todd Wharton, Matias Zaldivar, Aldo Quintanilla and Manny Padilla. Monday also marked the team’s first game since defensive stalwart Conor Donovan signed with the Houston Dynamo. 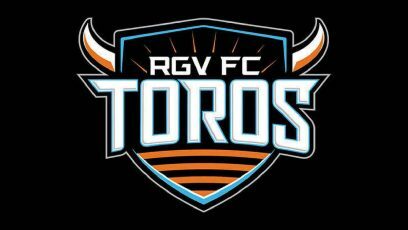 Toros coach Gerson Echeverry said last week that RGV may be shorthanded as players are called up to play for the Houston Dynamo in the Lamar Hunt U.S. Open Cup. The Dynamo begin their journey through the tournament with a match against the NTX Rayados at 7:30 p.m. Wednesday in Houston. The Rayados, based in Dallas, are an amateur club from the North Texas Premier Soccer League. Defenders Bryce Marion and Sheldon Sullivan made their first career starts for the Toros on Monday, while midfielder Jorginho James was in the starting 11 for just the second time this season. The Monarchs mostly controlled the match from start to finish. They held 63.6 percent of possession and took 18 shots to RGV’s nine, including a 9-1 advantage in shots on target. Richard Ledesma scored SLC’s first goal in the 25th minute after subbing in due to an injury in the 17th minute. A leading pass from the left wing found Chandler Hoffman near the byline on the left side of the penalty box, and he played a pass to Ledesma in the middle of the area. Ledesma calmly slotted the ball into the lower-left corner of the net. The Monarchs pushed the lead to 2-0 in the 70th minute. Ledesma crossed the ball into the penalty area, and Mastanabal Kacher touched the ball in the box, won a fight for possession with RGV defender Marion and keeper Nico Corti and cracked a shot into the open net. RGV FC returns to action at 7:30 p.m. Saturday at H-E-B Park with a match against Portland Timbers 2.